Updated 3/19/2018 to reflect included custom ear-plates w/purchase. When it comes to headphones that run $200 or more Beats is the name that comes up most often in casual conversation. And while Beats often have decent sound, its build quality and design often leaves a lot to be desired. This is where a company like V-Moda really shines; its Crossfade 2 is a fantastic example of it. 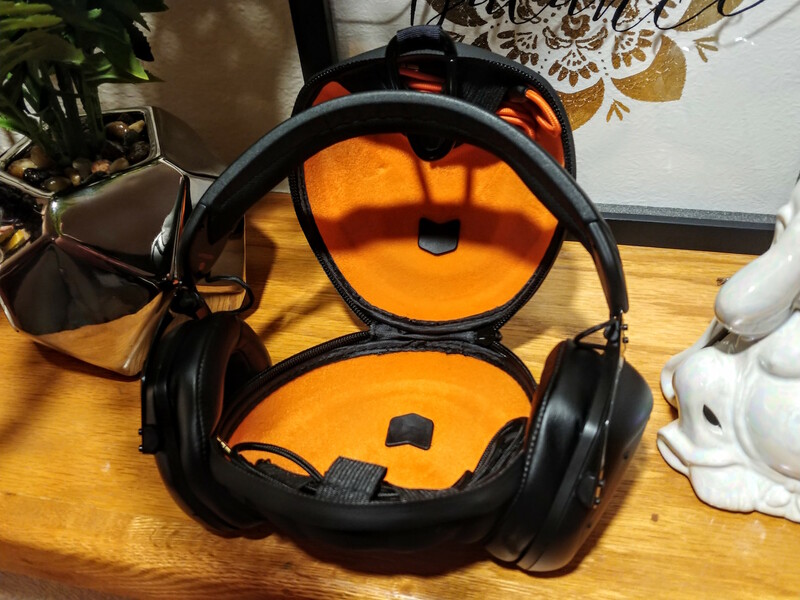 Where Beats uses plastic frames with weights in them to feel like quality, V-Moda designed the Crossfade 2 from the ground up to be a work of art. Unboxing the Crossfade 2 is the rare occasion in which the the it is almost as much of a pleasure as using. Right of the bat, it reeks of “premium”. Made of thick gauge, lightly textured card stock, the box sleeve is the first thing you see when opening the V-Moda. A vegan leather carry handle is bolted in place by square, pyramidal studs that matches the snap-latch that secures the lid in place. 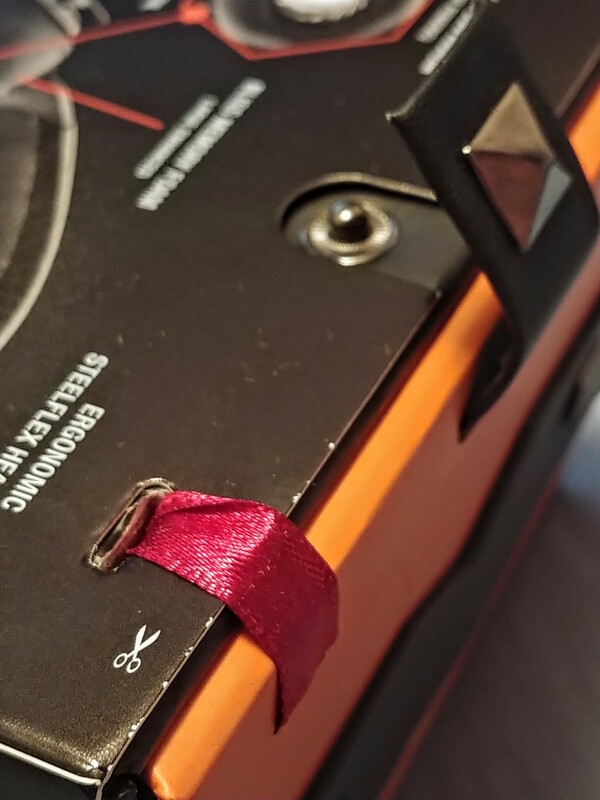 Before you can do anything else, you have to literally cut the ribbon on your new headset – a crimson, silky ribbon secured around the box, sleeve and lid. The attention to detail borders on the ridiculous at times. You can easily, and correctly, guess that a company that puts this much effort into packaging would create an equally beautiful product. 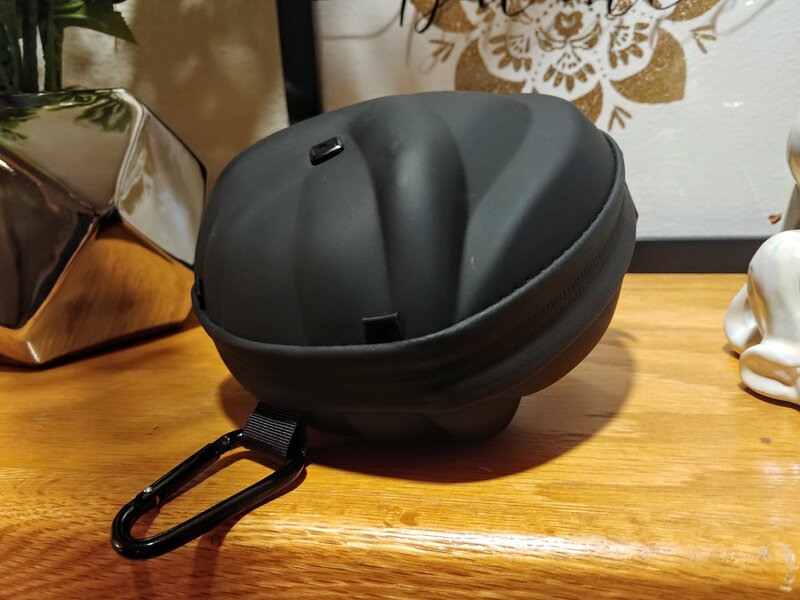 Under the lid is a cap protecting the top of the exoskeleton case with firm, soft foam. 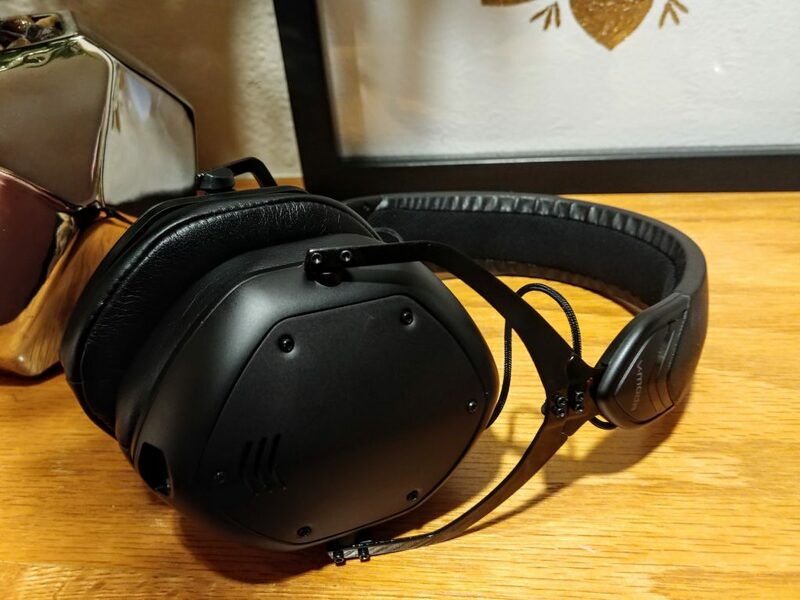 It’s a simple affair with matte black card stock glued to the aforementioned foam and emblazoned with a glossy V-Moda logo. All of this adds to the impression that a lot of love went into designing the product. The included hard-sided case is, as you might expect by now, every bit as premium as the box and headset itself. 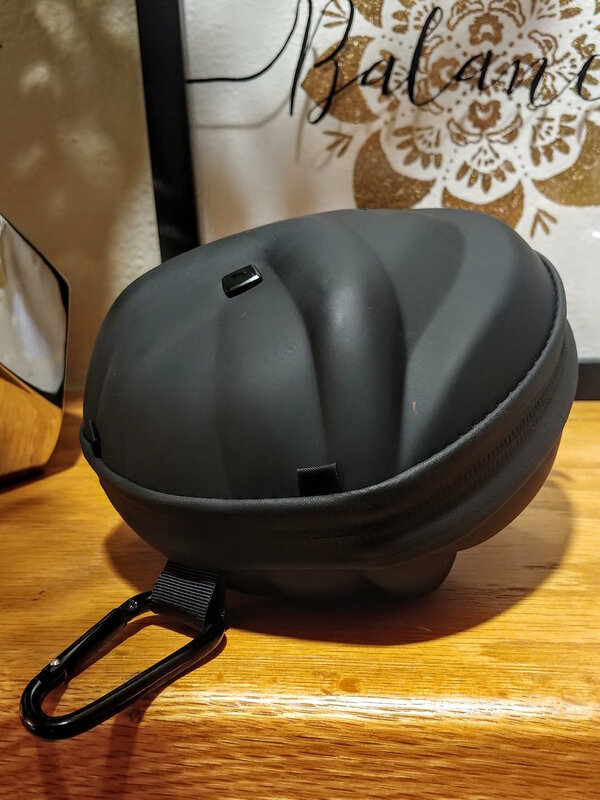 It features a symmetrical, almost clamshell aesthetic, with adjustable vents on either side of the shell to air out your headphones after use. Even the zipper feels premium. The teeth are hidden and guided by strips of stiff fabric which ensures it’ll never catch or jam. 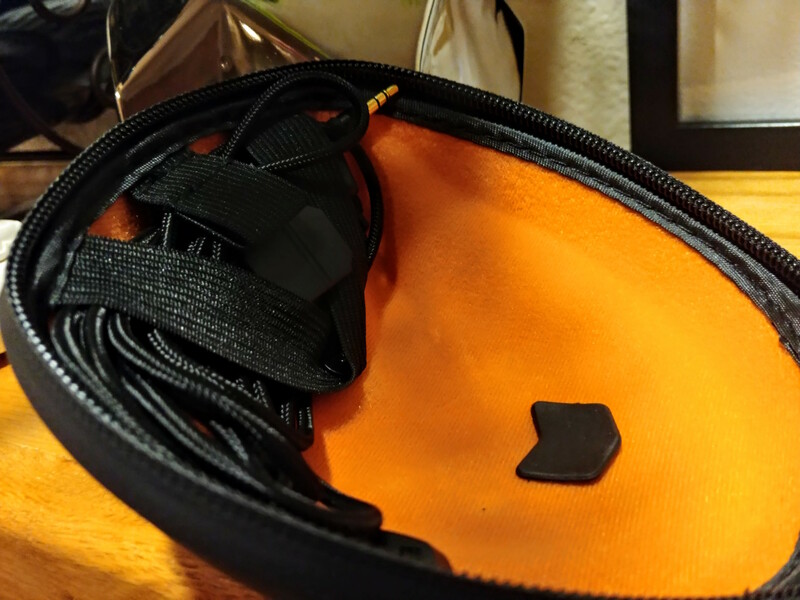 Inside the case is a bright orange microfiber lining, as well as two V-shaped elastic storage compartments – perfect to keep your USB and auxiliary cables. 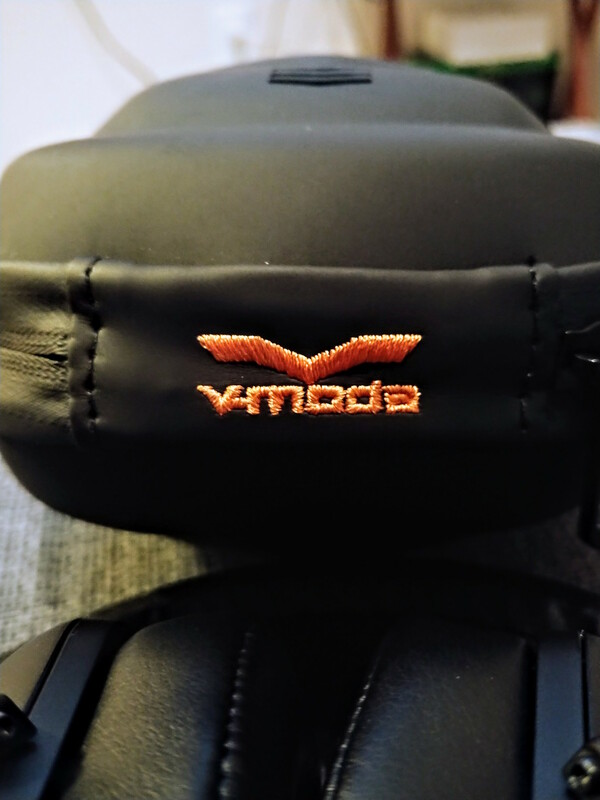 To top it off, the V-Moda branding is stitched into top patch of the case. 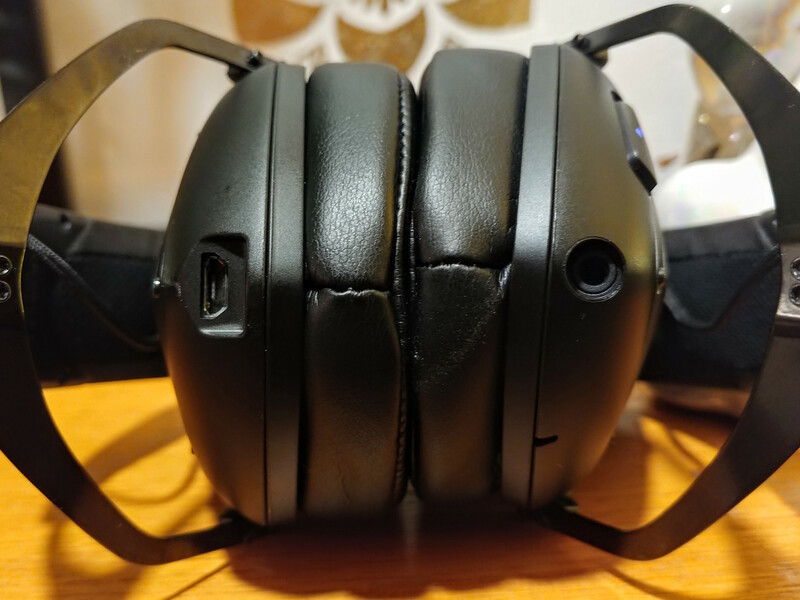 The Crossfade 2 fits perfectly inside but only when completely collapsed. They’ll require adjusting each time you wear them. Upon first withdrawing the $330 Crossfade 2 from its case, you can’t help but think to yourself how ordinary it looks. Save for the shiny steel forks attached to the ear cups, the headset is completely matte black. It’s neither overly heavy (309 grams), nor particularly bulky (I’m looking at you, Beats). That all changes, though, when you unfold the ear cups for the first time. They pivot downward on two sets of hinges (one is on the frame and the other is on the cups) and snap into place satisfyingly. The solidness of the click and smoothness of the motion really showcase the durability of the Crossfade 2; they can twist in pretty much any direction you want without fear of breaking. This is thanks to a nearly indestructible “SteelFlex” headband covered in vegan leather (which could mean seaweed or cork, or it could mean PVC or Polyurethane) and memory foam. There’s very little horizontal movement in the frame. The SteelFlex headband and steel forks offer a surprising amount of tensile flexibility without fear of damaging it. 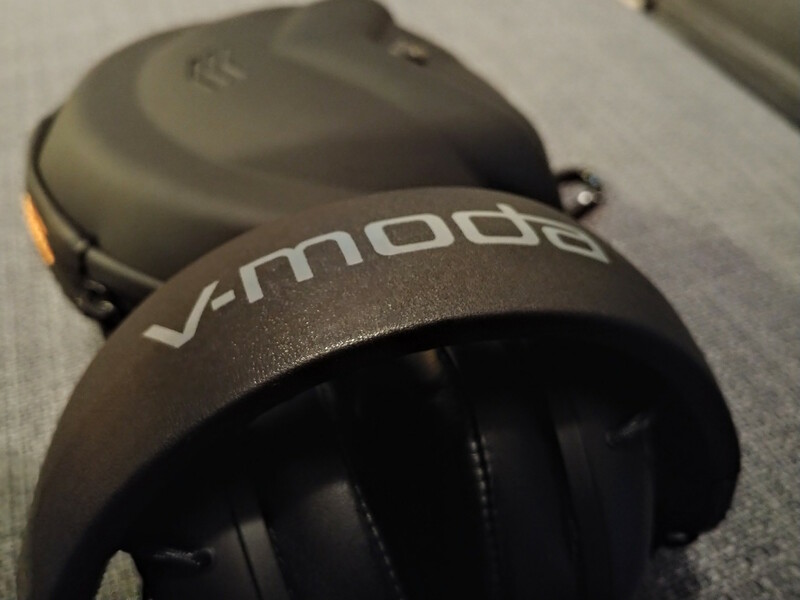 V-Moda claims the Crossfade 2 will withstand 10 cases of a completely flattened headband without any ill effects. As any gamer can attest, this is typically a death knell for a headset. A second glance reveals a more subtle, and somehow obvious, boldness to its design. 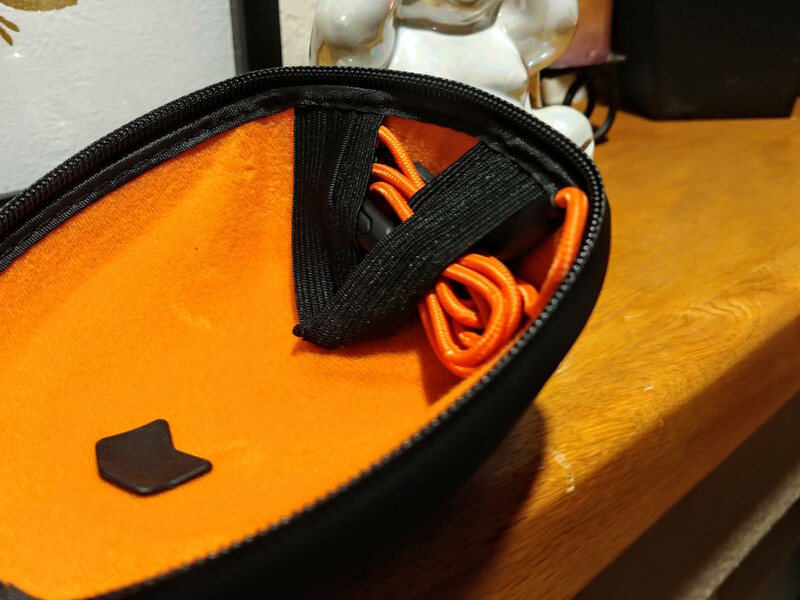 The twenty-plus hex screws holding the thing together are bare for all the world to see, and the nylon-braided cables run uncovered from the headband to the cans. 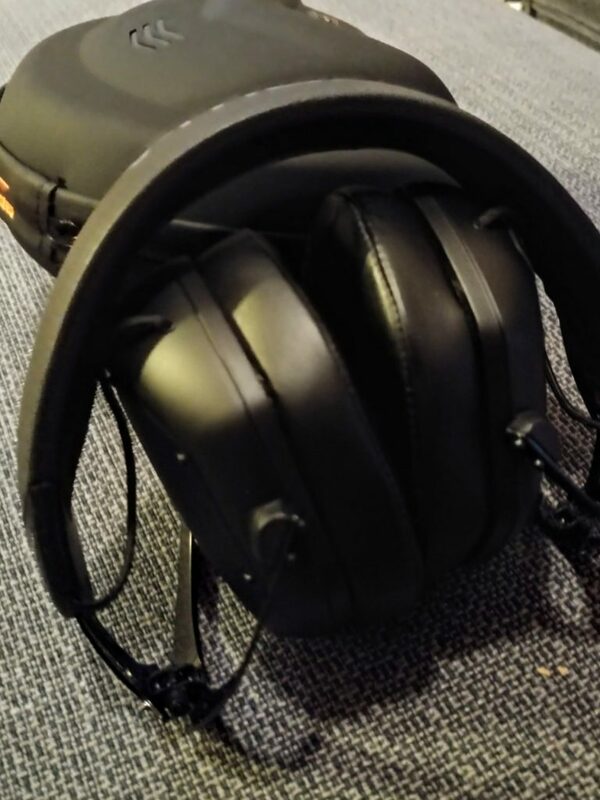 The stock model features metal earcups and cover. These are hexagonal in shape and secured with tamper-proof hex screws, giving it a sleek, industrial look. It’s an odd hybrid of aesthetics that combines for a very unique styling. The covers that come in the package are sleek and stylish, but you can also order custom ones to make it truly yours. Functionally, the Crossfade 2 is both easy to use and occasionally a bit finicky. 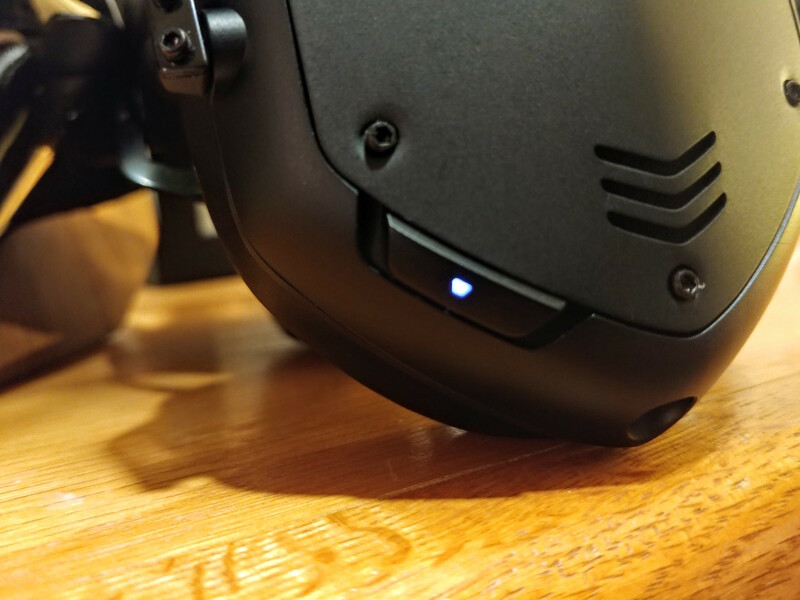 Rather than a Power button, V-Moda opted for a three-stage switch on the side of the Right ear cup. Stage One is off, stage two is on, and stage three is pairing mode. 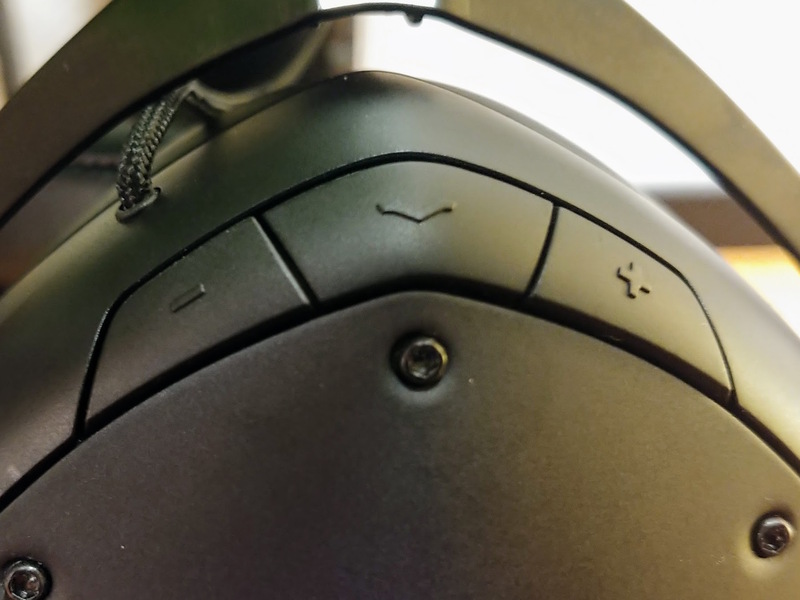 The volume controls are similarly odd with three buttons on top of that same ear cup. The front and back buttons are volume up and down, respectively, and the third button is a multifunction, contextual V button. This button is responsible for a number of important features, including playback control, call control, and summoning your mobile Assistant of choice. Playback control is a bit tricky: press twice for next or three times for back. It’s not the easiest function to get right every time, but it’s not terrible. Consider that you’ll mostly be using it when connected to a phone that can control playback much more easily. I’m not an expert in audio quality. 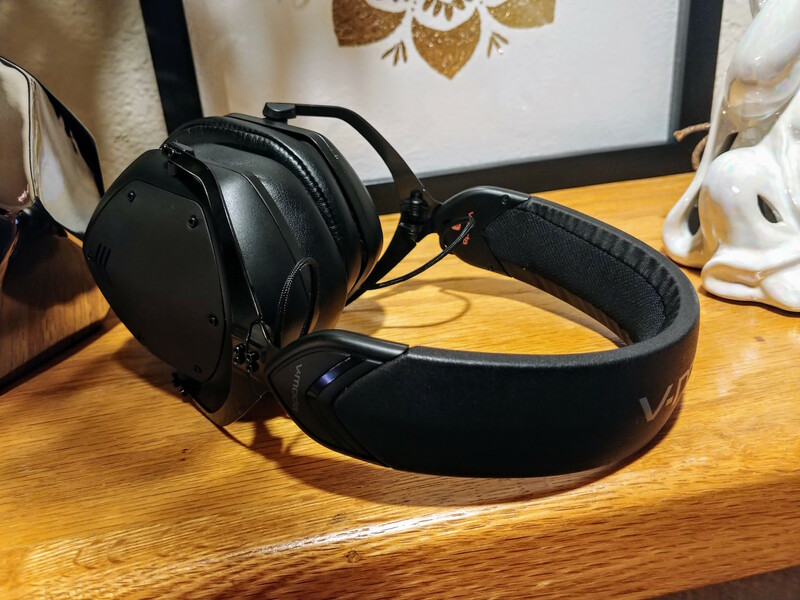 I’m a layman when it comes to high-end sound equipment with my main over-ear headphone experience coming from Turtle Beach and Razer gaming headsets. Keep this in mind as I discuss the sound quality of the Crossfade 2. With that caveat out of the way, though… Wow. 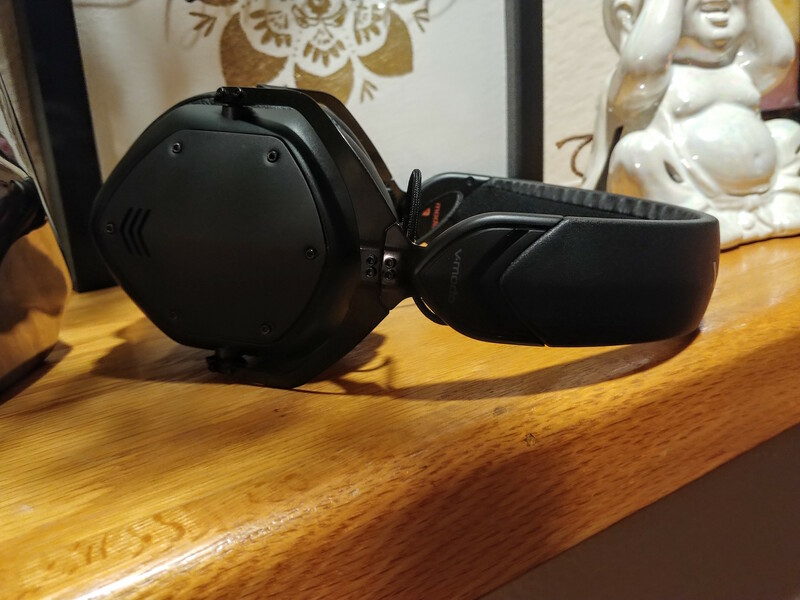 The Crossfade 2 really blew me away with its sound. My $249 Turtle Beach Stealth 700 has a pair of 50mm drivers with a frequency response of 20Hz-20,000Hz. 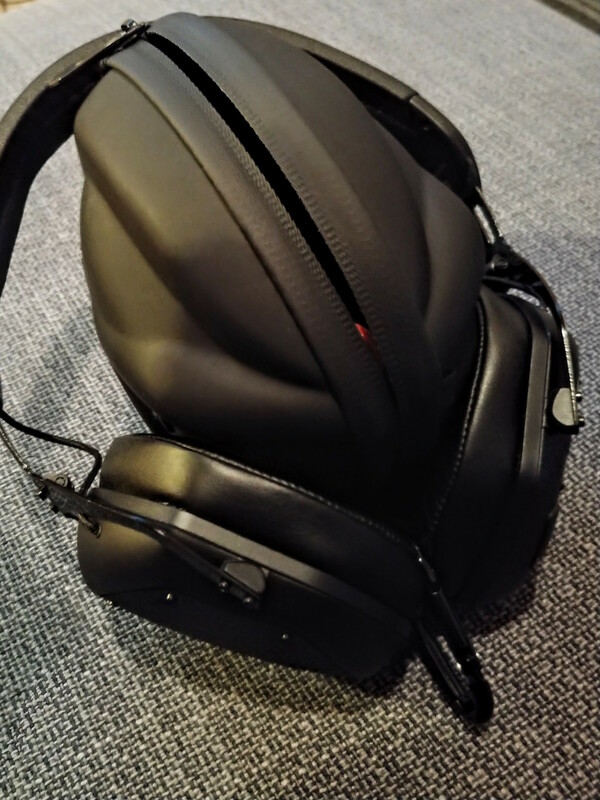 The $330 Crossfade 2 features dual 50mm, dual-diaphragm drivers with a 5Hz-40,000Hz range. This means the Crossfade 2 is more than twice as sensitive to bass and treble than the 800X. Turtle Beach has a reputation for being among the more popular gaming headsets on the market. And that’s well earned! 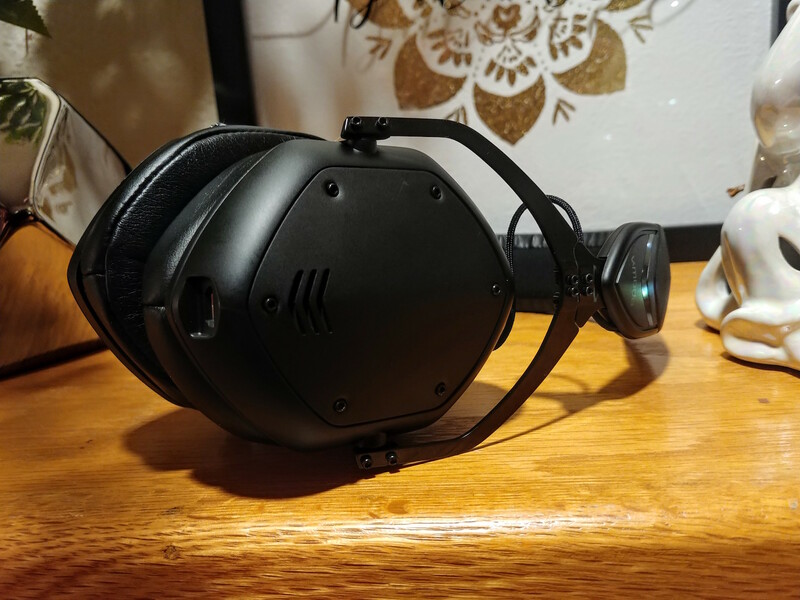 But even its most expensive headset doesn’t hold a candle to the Crossfade 2. My experience with both headsets backs up those numbers. Be it gaming or listening to music, the Crossfade 2 is simply a joy. It’s got a booming bass that doesn’t drown out the complexity of the highs, and the massive frequency range ensures you catch every detail in the sound. 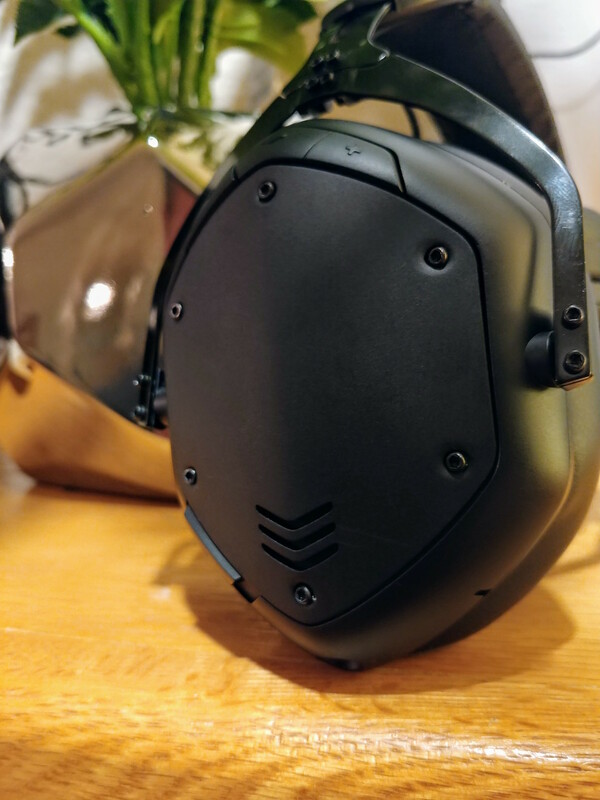 Whether straining to hear the footfalls of an enemy in PlayerUnknown’s BattleGrounds or picking out each and every note of Voodoo Child, V-Moda’s Crossfade 2 is excellent in any situation. 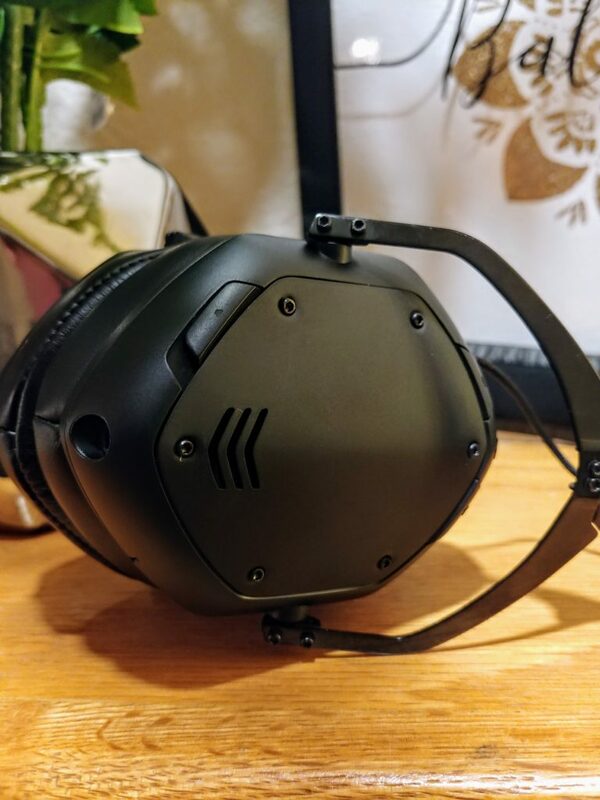 I used the Crossfade 2 for gaming (mobile and console) and listening to music at home and on the go. While most of my music tastes tend toward rock, I also did a few test runs with Pop, R&B, EDM, and Classical styles to get a feel for how the Crossfade 2 sounded when blasting each genre. In short, it sounds awesome no matter what you put on. Gaming is no different. I played Shooters, Puzzlers, MOBAs, RPGs, and all of the games sounded wonderful. 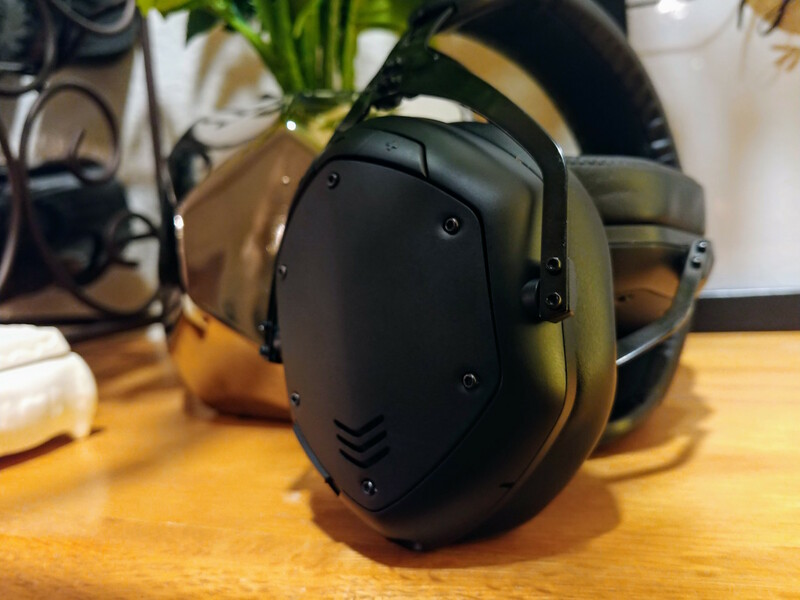 V-Moda estimates the Crossfade 2’s battery life at 14 hours. In practical usage, I found it closer to 12 or so. I’m sure that varies based on the features you’re using and the volume at which you’ve set it. Honestly, though, battery life isn’t a concern as long as you’re carrying around the included 3.5mm cable. When plugged in, the Crossfade 2 immediately becomes a zero-latency, zero-power analog headset whose quality isn’t diminished in the least. The Crossfade 2 comes in three colors: Matte Black (which I tested), Matte White, and Rose Gold. 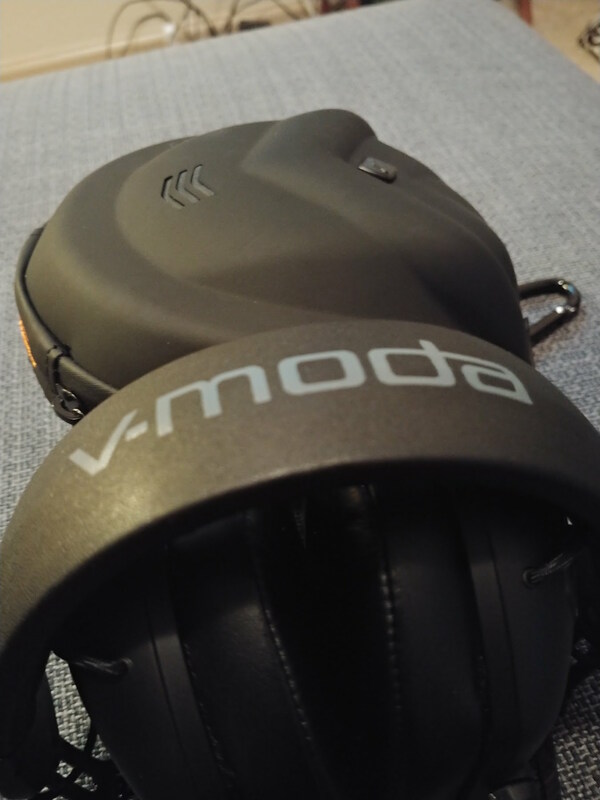 In addition, V-Moda is able to engrave or 3D-print custom ear-plates in a variety of materials. The selection is impressive: Fiber, Aluminum, Steel, Brass, Bronze, Silver, Gold, Rhodium, or Platinum. 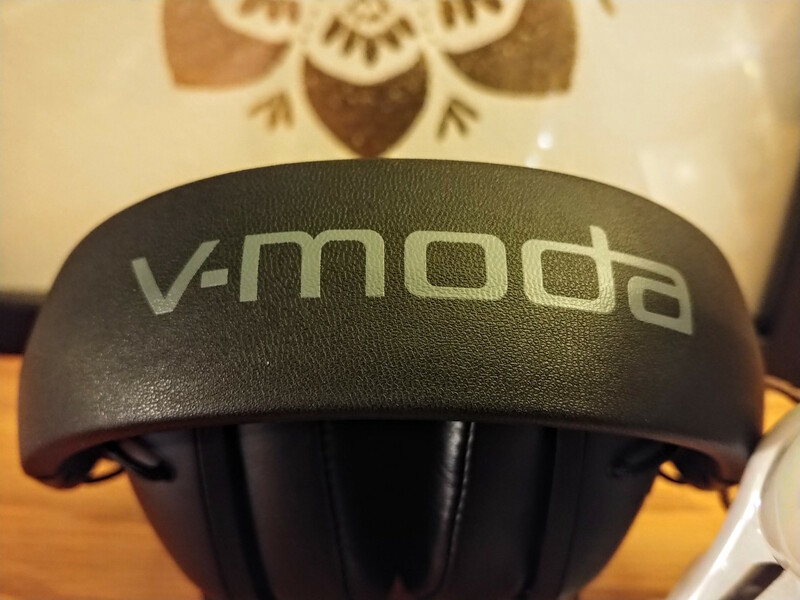 You’re free to choose one of V-Moda’s designs, or upload your own for a truly custom set of cans. 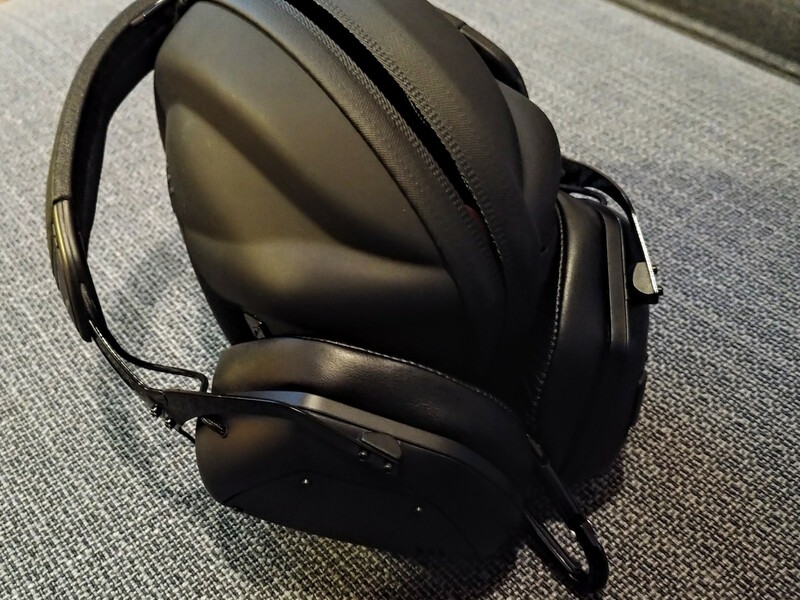 Buying a Crossfade 2 directly from V-Moda gets you a second set of customized ear-plates in either 3D-printed Fiber or engraved Aluminum, for no extra charge. This is up to a $100 value, and really puts a different spin on the pricetag. $330 is a lot to spend on a headset, no matter who you are. But, in a world where the Beats headphones are synonymous with luxury, people are willing to shell out the cash. Do yourself a favor and go against the crowd. If you’re looking to buy an expensive headset, don’t buy a pair of Beats. Buy the boldly-styled, built-like-a titanium-gymnast, excellent-sounding V-Moda Crossfade 2. The Crossfade 2 retails for $330, and can be bought from any number of retailers, including Walmart and B&H. However, at the time of this writing the Matte Black model is available from Amazon for just $270 a bargain. 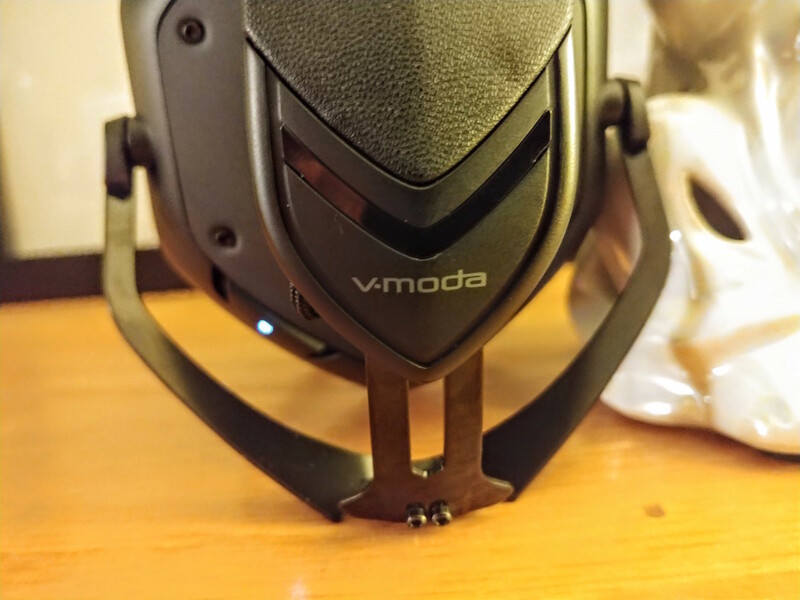 As mentioned above, though, buying directly from V-Moda will get you an extra set of custom ear-plates – so if that’s important to you, V-Moda is the best place to buy. Beats other, more popular headsets at its price-point by a pretty wide margin in sound, design and durability. Hard to beat, if you're willing to shell out the cash.